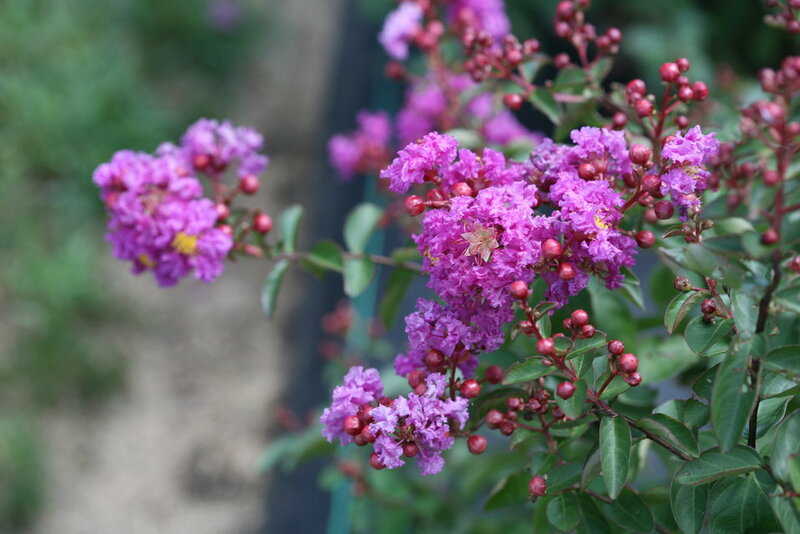 Infinitini® Purple crapemyrtle is the brightest purple yet. 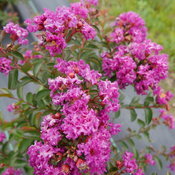 Every summer, it lights up with vivid purple blooms, which continue through frost. 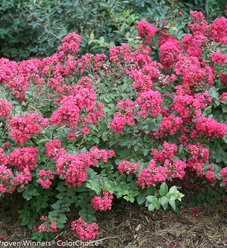 Like the other plants in the Infinitini® series, this is a low growing dwarf variety, which opens up lots of possibilities for planting in landscapes and gardens. 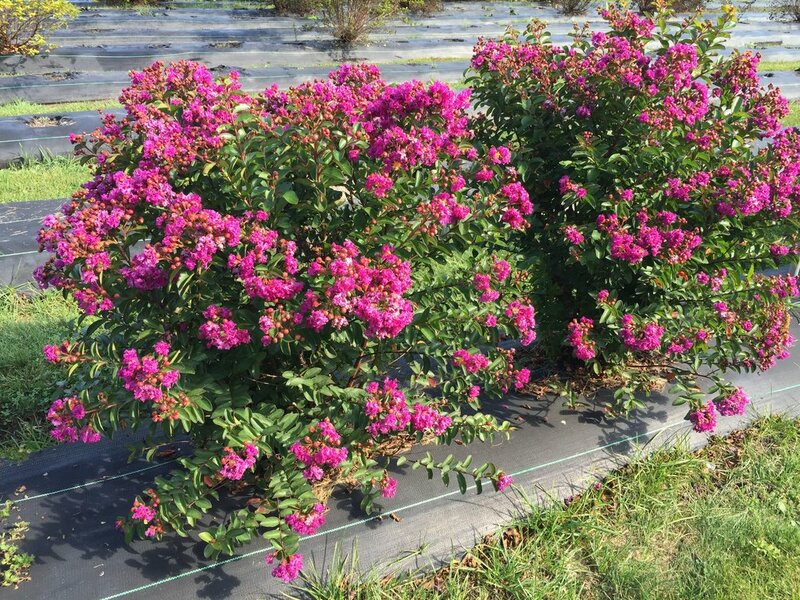 Here in our west Michigan trial gardens (USDA zone 6a), we can grow Infinitini crapemyrtles in the ground with no problems. In harsh winters, they may die back to the ground, but they sprout right back up in spring and bloom beautifully in summer. Available in better garden centers in spring 2019. 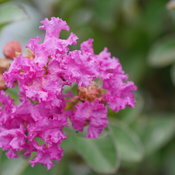 - Very vivid purple blooms in summer. 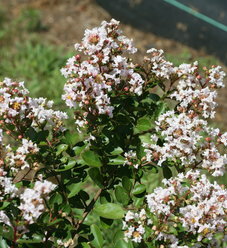 - Dwarf habit makes it a versatile plant. 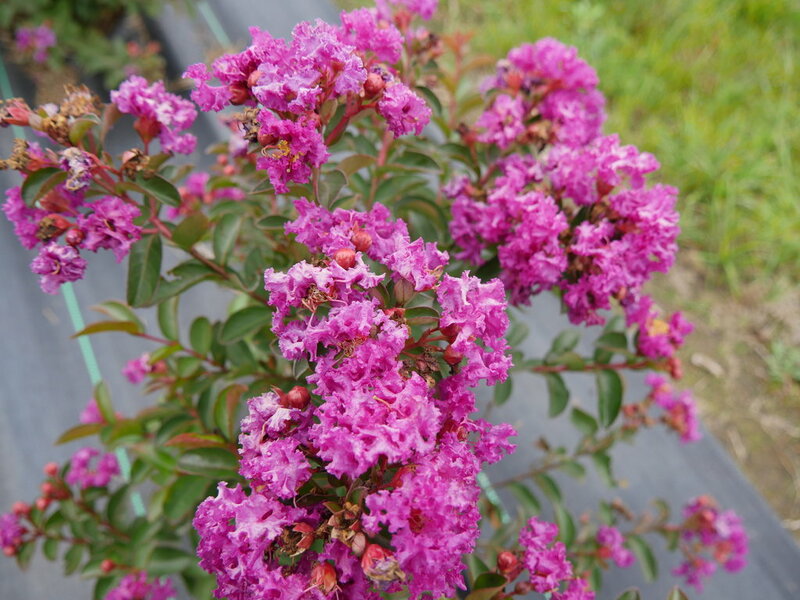 - Enjoy even in USDA zone 6. 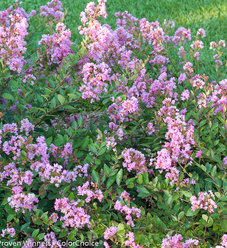 Dwarf habit gives that this plant has a wide range of landscape applications. It's a very nice addition to flower gardens as well as landscapes. Crapemyrtle is so popular because it does so much while requiring so little work. Mulch is beneficial. 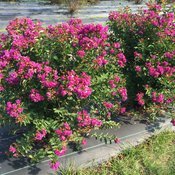 If you live in the colder end of its hardiness range, the plant may die back to the ground in winter, but it will resprout from the roots. Avoid pruning until the plant shows signs of life. 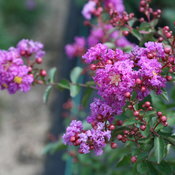 In other areas, pruning is not required, but the plant may be trimmed or pruned in early spring if desired. 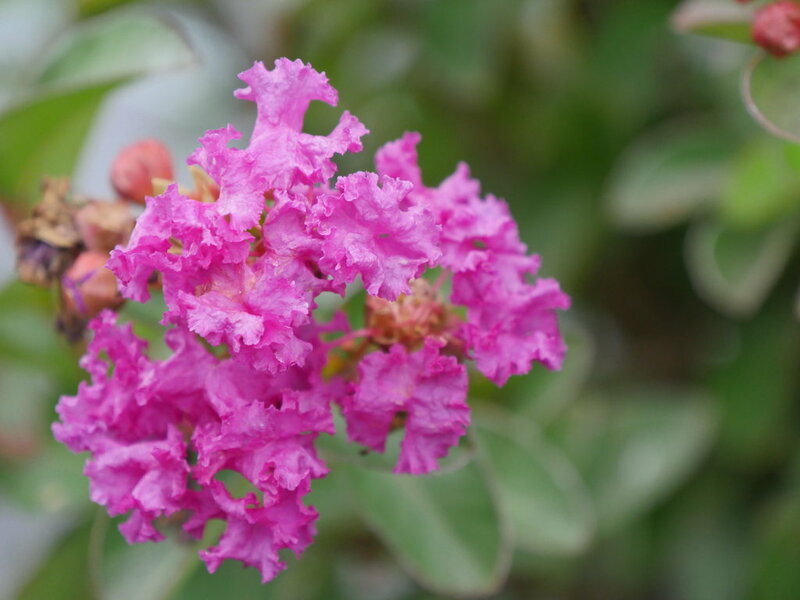 Look closely at an individual flower of crapemyrtle - they're amazingly intricate and complex!